Up to 33% of pregnant mothers will experience slight bleeding during the first 2-3 months of their pregnancy. This slight bleeding is known as "spotting." Sometimes, the spotting is due to the implantation of the embryo into the uterine lining. 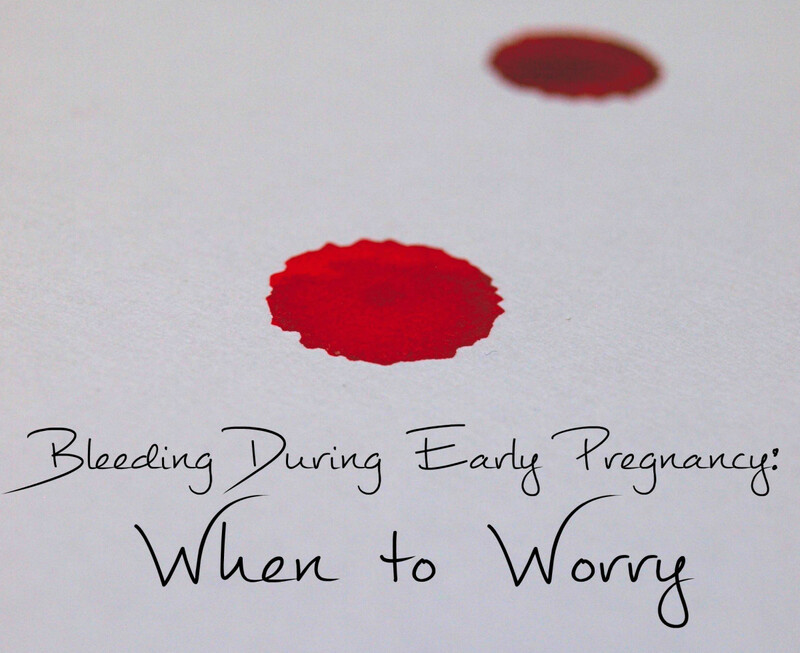 Unfortunately, sometimes bleeding does indicate an impending miscarriage. 50% of women who have some bleeding in early pregnancy will go on to have healthy babies. The remaining 50%, unfortunately, will proceed to miscarry. Signs of abnormal bleeding in early pregnancy include heavy bleeding, blood that contains tissue and clots, or bleeding with painful cramps. Women should report all bleeding or spotting to their obstetrician, so that appropriate monitoring, ultrasounds, and blood work may be completed. Spotting in pregnancy should always be reported to your healthcare provider. Signs of an impending miscarriage include the loss of pregnancy symptoms, cramping and bleeding, or the passage of clots. A physician will be able to perform some simple blood work and an ultrasound to determine if the pregnancy is viable, or if a miscarriage will occur. 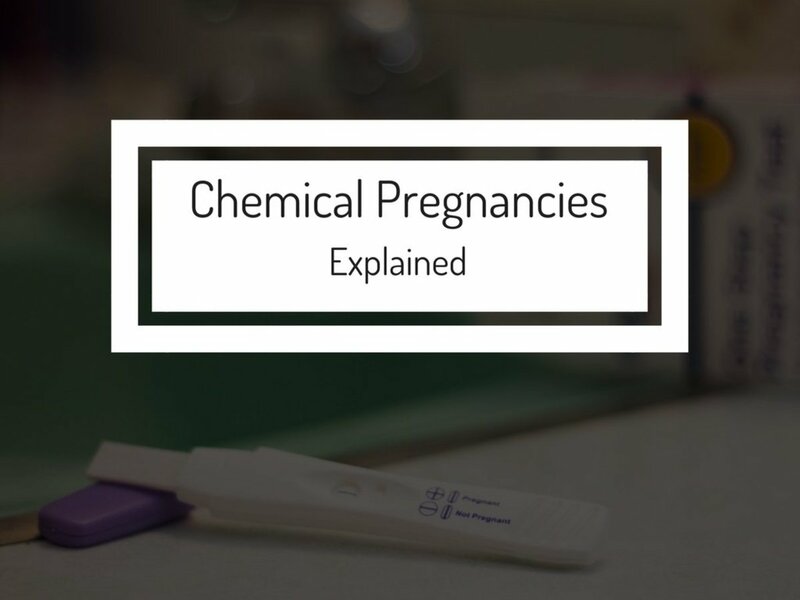 There are several normal events in early pregnancy that may trigger some spotting. Implantation bleeding may cause some pink or brown discharge as the embryo embeds itself into the uterine lining. This spotting may cause a few streaks of bloody discharge, but will not resemble a menstrual period in any way. Significant amounts of bright red blood should be mentioned to an obstetrician immediately. Implantation bleeding occurs approximately six days after the egg has been fertilized. Spotting may occur after a couple has engaged in sexual relations, as the cervix has an increased blood supply. An impending miscarriage. Early miscarriages are usually caused by genetic problems in an early embryo, though other causes (like low progesterone) may also be at play. A completed miscarriage. In this scenario, the miscarriage has happened and an obstetrician should be contacted to determine if a procedure called a D&C is required. Ectopic pregnancy. This pregnancy is usually accompanied by severe pain and is a medical emergency. A doctor's ultrasound will reveal the location of the implanted embryo: if the embryo has implanted in the Fallopian tube, abdomen, or any location other than the uterus, the pregnancy is considered ectopic. Blighted ovum. An ultrasound will show a sac, but no embryo. This is sometimes called a "missed miscarriage," as the woman may begin to spot several weeks into her pregnancy. Most blighted ova are caused by genetic defects. 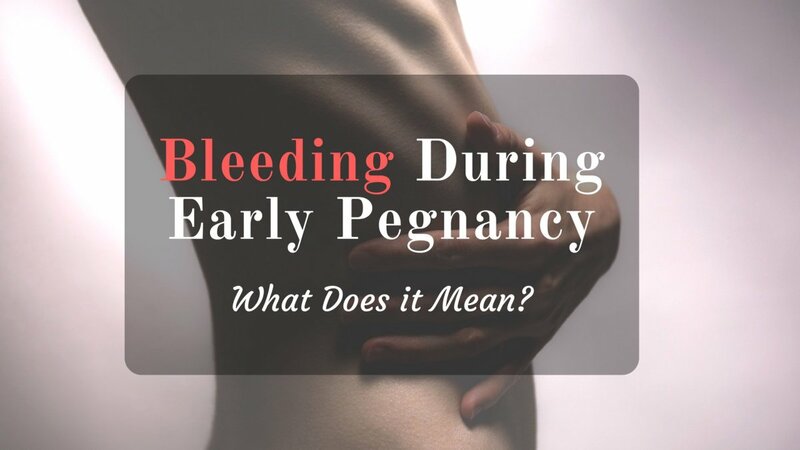 What Causes Bleeding During Late Pregnancy? Vasa Previa: in rare cases, a baby's umbilical cord will lie over the cervix, because the cord has attached to the baby's amniotic sac rather than the placenta. This can cause the blood vessels in the umbilical cord to rupture. 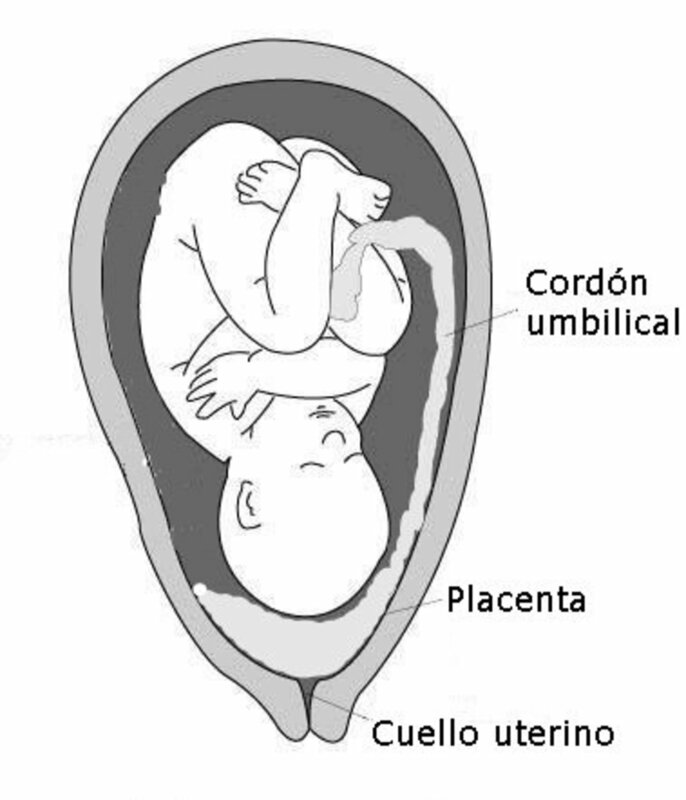 Placenta Previa: in normal pregnancies, the placenta is high in the uterus and safely away from the birth canal. In placenta previa, the placenta covers the cervix and heavy bleeding will occur when the cervix starts to dilate and efface. Most babies with placenta previa will need to be delivered by Caesarian Section. Placental Abruption: the placenta is normally firmly attached to the uterine wall until after the baby is born, when it detaches and is delivered as the after-birth. In some women, the placenta begins to detach prematurely, causing bleeding. A woman with a premature placental abruption will often be placed on bed rest and will be monitored very closely for the remainder of her pregnancy. Rupture of the uterus: this serious condition is caused when the uterus literally rips apart, and the baby is ejected from the womb into the abdomen. A woman is at higher risk of uterine rupture if she has had more than four pregnancies or prior surgery involving the uterus (including prior Caesarean Section). Did you have cramping or spotting during your pregnancy? No, I had no cramping or spotting and had a healthy baby. No, I had no cramping or spotting, but had a missed miscarriage. Yes, I had spotting but delivered a healthy baby. Yes, I had spotting and then had a miscarriage. Cramping during early pregnancy is often normal, as the uterus expands and the embryo implants into the uterine wall. As long as the cramping is slight and not accompanied by bleeding, it is likely normal. Report any cramping to a healthcare professional, as sometimes cramping can be a sign of a serious problem. Round ligament pain - the ligaments suspending the uterus are stretched and pulled as the uterus grows. Miscarriage (if accompanied with bleeding). Cramping with bleeding is not normal and should be reported immediately. 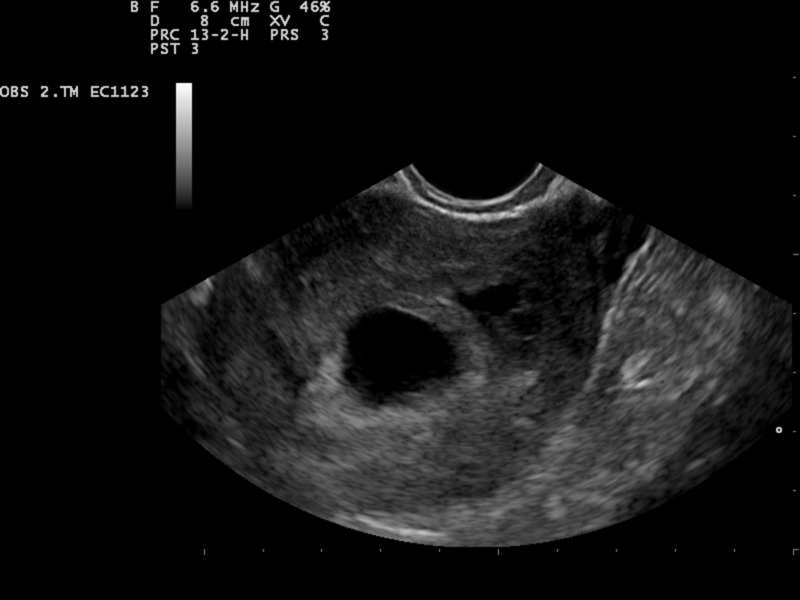 A threatened miscarriage is diagnosed if there is bleeding in early pregnancy, but the cervix remains closed and the gestational sac (or embryo) is still visible on ultrasound. A threatened miscarriage does not mean that a miscarriage will definitely occur. It simply implies that there is an increased likelihood for a miscarriage. A physician may order a blood test to check for beta hCG levels, which should double every 48-72 hours. If the hCG levels are increasing at the proper rate, the likelihood of a miscarriage is reduced. hCG levels that stagnate or fall, however, indicate a failing pregnancy. What is an Impending Miscarriage? Bleeding and cramps accompanied by an open cervix generally indicate an impending miscarriage. This means that miscarriage is unavoidable, and will happen in the near future. Women may opt to miscarry naturally, or have a procedure called dilation and curettage (D&C) performed. With a D&C, the physician dilates the cervix and manually removes any remaining tissue from the miscarriage. Most D&C's are carried out under general anesthesia, though some are performed with local anesthetic only. What is an Incomplete Miscarriage? In an incomplete miscarriage, some of the fetal tissue is expelled from the womb. Some of the tissue remains behind, and can cause a bleeding and infection risk. Women who have had an incomplete miscarriage will generally require a D&C to remove all tissue from the uterus. A related condition, a "missed miscarriage," causes no spotting or bleeding. The embryo does not develop or dies in the womb, but is not miscarried. The death is generally found on a first trimester ultrasound. The lack of a heart beat after a certain gestational age (approximately 6 - 7 weeks, allowing for varying conception times) is usually the defining feature. Sometimes there is a blighted ovum, where the egg was fertilized but never developed an embryo at all - only an empty sac will be visualized via ultrasound. Antibiotics may be required to prevent infection after the procedure is carried out. Could I still be pregnant after bleeding for five days before my cycle? Bleeding does not preclude pregnancy. You may be pregnant even though you have been bleeding prior to your cycle. If you are concerned about a potential pregnancy, wait about a week until after your original cycle due date and take an at-home pregnancy test. If you would like to know sooner, contact your OB/GYN and have a blood test ordered for beta hCG, which can detect minute concentrations of the pregnancy hormone and can give you an answer earlier than a urine-based home pregnancy test. I have been spotting for more than a week and I missed my period last month. I went to the doctor and he said I should do an ultrasound. What could be the cause of the spotting? Is spotting compulsory for every woman? Not every woman will experience spotting in pregnancy, but it is fairly common in the earliest stages of pregnancy. Implantation is a frequent cause of spotting in early pregnancy. Many women never experience any spotting at all, and this is also normal. I am pregnant. After my ultrasound I learned that the developed Gestational sac is on the left side of uterus. My Doctor said if it doesn't shift to the center center within week we will have to remove it because it may damage to the uterus. My beta HCG level is more than 7500. Do you have any advice? It sounds like your doctor is concerned about a pregnancy occurring in the tubal interstitium, which is when a pregnancy implants in the area where the fallopian tubes join the uterus. Your physician may also be concerned about an angular pregnancy, which displaces the round ligament. I would call your physician to make an appointment to explain and clarify the concerns and risks about this pregnancy. The beta hCG levels are less important than the full clinical picture, which can only be determined through a thorough examination by your physician. Hi Deondra - some pregnancies experience spotting in the early weeks. This can be caused by implantation and can be entirely normal. Sometimes, however, an unexpected complication can create a medical situation that needs immediate attention by a professional. 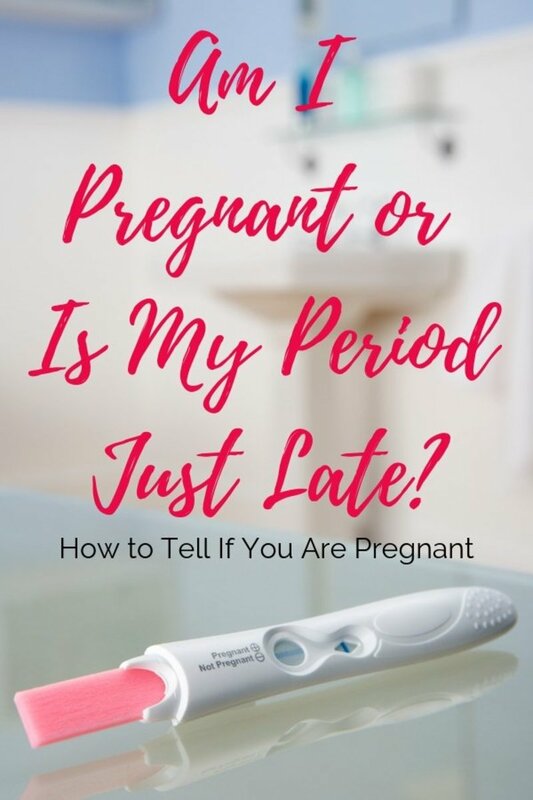 With your bleeding and severe headaches, I would contact your OB/GYN and tell them you have a positive pregnancy test along with bleeding and severe headaches. They should be able to fit you in immediately for an "emergency appointment." If they cannot, I suggest going to urgent care to have a work-up done to make sure everything is as expected for this stage of pregnancy. I hope you keep us updated on your situation, and I am sending many positive thoughts that all is well! have anybody else had implantation bleeding and how long did it last ??? I think I had it... it was dark red with pink tint to it but in my pad it looked black but when I wiped it was red with pink tint in it and only lasted a couple of hours and went away...the next day it was gone completely ... when it was going away it turned pink...could I have had it. Hi Tam3, I would call your doctor and request a beta hCG test. 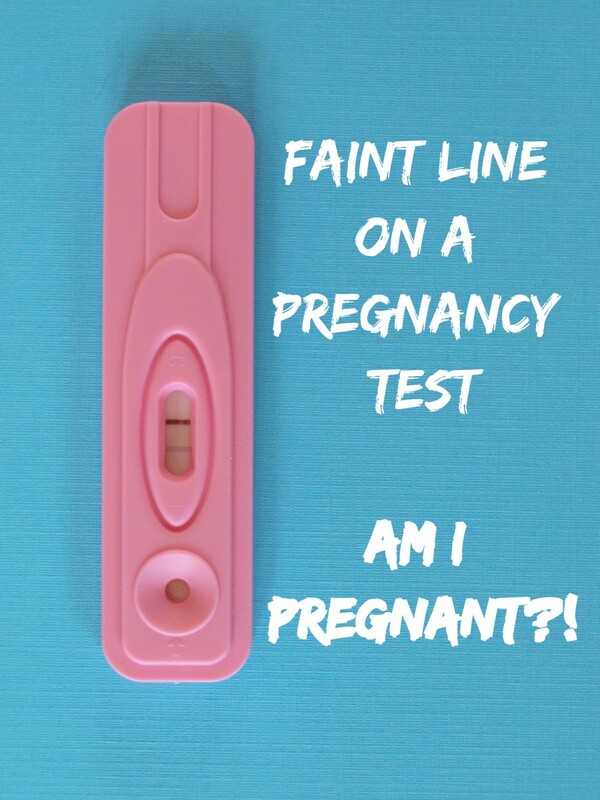 This test measures the quantity of hCG (the pregnancy hormone) and by monitoring how fast the hormone is rising, they can tell you how likely your pregnancy is to continue. It is so very frightening - sometimes spotting happens with a healthy pregnancy, and sometimes it is a signal of an impending miscarriage. The best thing to do at this point is to call your doctor to get more information. I have had four pregnancies - all of them had spotting. I have had two babies and two miscarriages...so spotting can mean something sinister, or it can be OK in the long run. Brown blood is old blood, so I wouldn't be as concerned about it - but if it turns bright red and you continue cramping, call your doctor or go to the emergency room. I need help. I am 4 days late today with my period. Both home test n doctors show a weak positive. Js after the doctors visit yesterday I started cramping n bleeding. Blood looks brownish could be I having a miscarriage? We enjoy life so much with our children. They are curious, smart, and funny - they make so many things in life extra joyful, Pauline. We are so lucky to have them! Losing a child is an absolute tragedy. Every baby is a miracle, Hyphenbird - every child born is amazing. Miscarriage is sadly common, but most women will go on to have a healthy pregnancy after a miscarriage. Leahlefler, this Hub made me cry for the mothers who lose babies and smile for the ones who have healthy babies. Your article answers so many questions that pregnant women have. I can just visualize a frightened and anxious woman getting on the internet and finding this. It will help them tremendously. As you know, I am a senior citizen so pregnancy is not in my future (unless God does another Sarah miracle!) but I well remember my time of carrying my only child. They are miracles in the making. Thanks so very much, Hyphenbird. Thank you, teaches! All spotting should definitely be reported to a woman's doctor. There are many cases of successful pregnancies when there is spotting early on. Sometimes there is a miscarriage, and unfortunately there is nothing anyone can do to stop that from happening once it has started. I have had three pregnancies, all with spotting. Two resulted in healthy children, and one was a miscarriage. This is a very good topic to share with young women who are pregnant or trying to get pregnant. Knowing what to expect or what to avoid is important and also helps to calm unexpected fears from spotting. Very well done, researched and written. Voted way up, Leah! I have two beautiful boys, Pauline, and they are the light of my life. There is absolutely nothing better than the magic in a child's eyes. My children are five and six years old. I have had a miscarriage as well- though the presence of my two boys definitely shows that a healthy pregnancy is often the outcome when there is some spotting in pregnancy. Bless you we can't and thank you. Oh we get terrified when we're pregnant don't we, especially when we think something could be wrong? How lovely to have a little lad - six is a lovely age- he must fill up your heart. A new baby is so exciting, Pauline! I once had dental work performed before I knew I was pregnant, and I was terrified the local anesthesia would cause problems with the baby once the pregnancy test came back with a +. Fortunately, everything was just fine and my son is six years old today. I hope your daughter has an uneventful remainder of her pregnancy! Congratulations on your new little granddaughter - I bet you can't wait until she arrives! Very timely and informative here for us here with a new baby on the way!!! My daughter didn't know she was pregnant until she was scanned for abnormal , very painful, joint pains and it was discovered that she was pregnant. Thankfully she is now well on with her pregnancy and at her 20 week scan everything was seen to be normal and well, and we are all excited about our new little girl, due to be born in February. I had some cramps and spotting with both of my sons, Emma - it only lasted a day for each boy and wasn't very significant. Fortunately, they were both brought to term and are five and six now. I recently had a miscarriage and there was heavy bleeding and cramping - very different from the light "spotting" I had with my first two. Thanks, Keeley. I recently had a first trimester miscarriage, and there was cramping and bleeding. I had spotting with my first two pregnancies, and delivered two healthy babies. Most first trimester losses are due to genetic problems with the embryo, and it simply can't develop. I can remember having cramps and spotting when I was pregnant with my son. I didn't know I was pregnant, so put it down to being a light period. I never thought to tell my doctor after I found out I was actually pregnant. We are not always aware of these things - thanks for bringing it to light Leah. A very informative hub. I have had experience with miscarriage myself. I didn't have any bleeding when I was pregnant with that child. However, I did have spotting with another pregnancy when I was 23 weeks pregnant. I was put on bed rest until it stopped (which took 2 weeks - it was very light, but it took that long to completely stop), but I went on to have a very healthy baby boy who is now almost 6 years old! Great Hub - VERY WELL WRITTEN!!! !